This modern low rise was built in 2005 and features 77 spacious units set on eight floors. The building offers free parking at the base, while security guards watch over the building twenty four hours a day from a booth that is located beside the entrance. 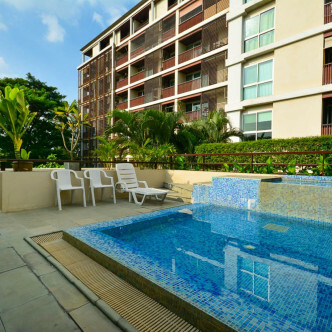 One of the most striking facilities of Centric Place Ari 4 is the large outdoor swimming pool, which features a covered area beside it where residents can unwind no matter what the weather may be like. 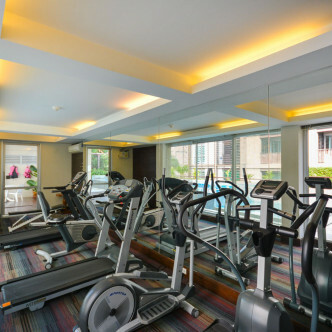 The building also boasts a large fitness centre and a coin operated laundry room for residents to make use of at any time of the day or night. 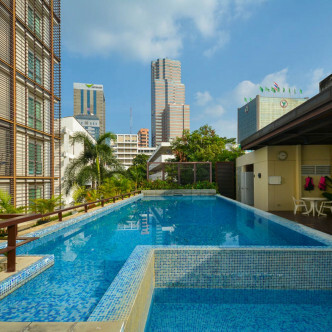 Ari is quickly becoming one of the most vibrant sections of the city and this location is popular with both expats and young Thai people. 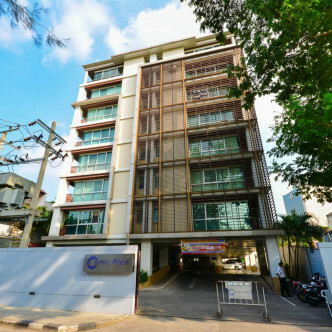 Ari BTS station is within easy walking distance of Centric Place Ari, while the neighbourhood features a whole host of arty bars, cafes and restaurants as well as a good selection of shops and supermarkets.